HOURS – Open Every Day 8 a.m. to 8 p.m. Try our freshly milled great grains! 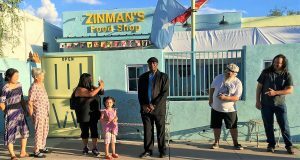 Nestled in a residential neighborhood near downtown Tucson, Zinman’s Food Shop is an old-fashioned kind of place to buy fresh plant-based foods. 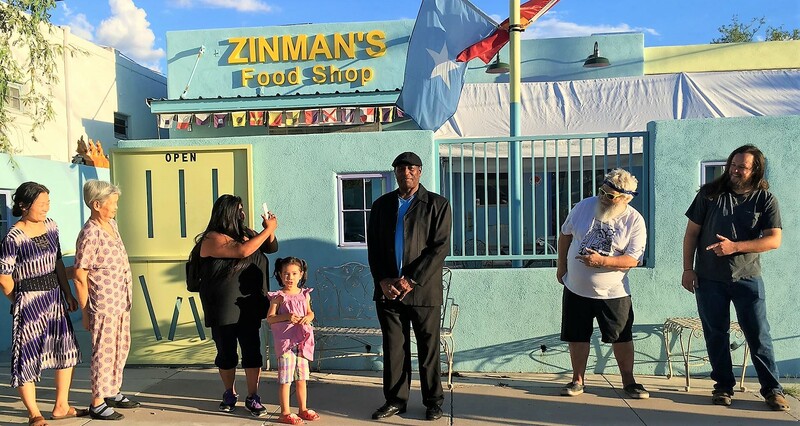 Whether you enjoy something from the Vegan Bistro or purchase plant-based items in our retail shop, Zinman’s offers thoughtfully prepared fresh foods with a friendly neighborhood vibe. 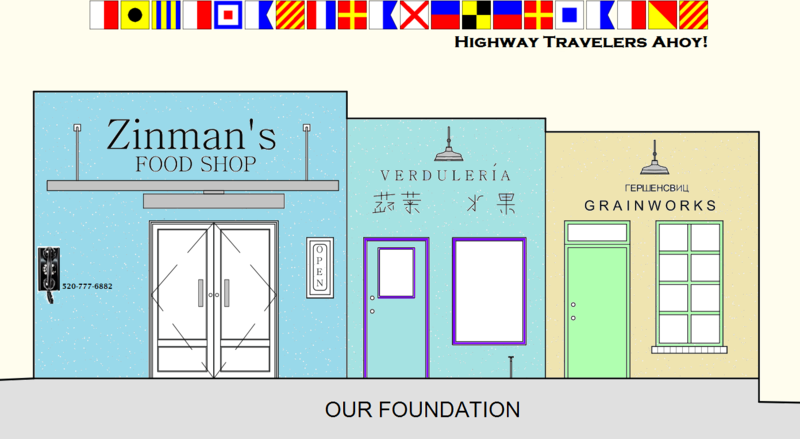 Look for the Vegan Bistro, our food shop and the Grainworks on 4th Street, under the colorful flags. Our Vegan Bistro serves breakfast, lunch, and supper with special emphasis on perfectly prepared fresh produce items, cooked with minimal seasoning in the ging chao tradition. Eat on our open air patio, or take the food with you for a tasty treat later. We serve you locally grown and seasonal produce whenever possible. We even grow some of our own produce in a thousand square-foot herb garden in the back yard of the shop! Zinman’s patio is pet friendly. We sell grains and seasonal produce, and we also process produce and grains into prepared and semi-prepared foods for sale. Our grains – like Pima Club Wheat, White Sonora Wheat, and Durum – are milled fresh on site and available for sale. We have whole kernel corn, garbanzo beans, and tepary beans. And when you discover how good freshly rolled oats can taste, you will never go back to the store brands. See all our grains and pulses on our GrainWorks page. We are proud to be a specialty wholesale grocer for local chefs – and to offer the same food to retail customers at wholesale prices.